Web Designers are almost extinct in the sense that now a days sites are so complex its all app based architecture. It seems to be that the need for a simple basic couple page site is all but news up the past and now all sites have some sort of user system and extensive functionality. 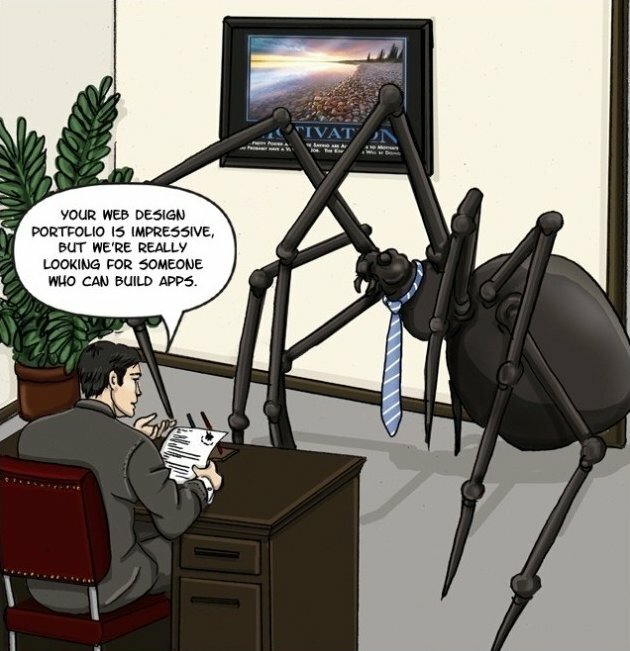 Poor spider, web design is changing.